The student loan crisis is ridiculous, so comedian Michael Torpey is solving it in the most ridiculous way possible, a comedy game show. Paid Off with Michael Torpey gives three lucky college grads - saddled with student debt - the chance to test the depth of their degrees with fun, fast paced trivia questions. In the end, one lucky winner will get the chance to have their student debt paid off. 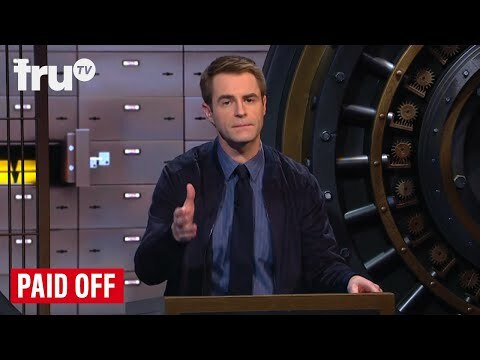 The upcoming Paid Off with Michael Torpey Season 2 truTV release date is May 13, 2019 in the US. Notify me when Paid Off with Michael Torpey Season 2 is available.